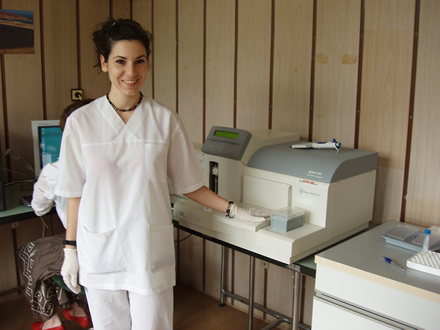 ЕЛТА 90 delivers and install automatic system for mesurement of HIV viral load from blood samples. 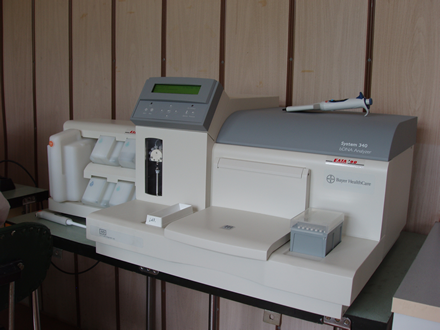 This bDNA technology platform is one of the most known in the world for accurate detection of HIV viral load, FDA and CE-IVD approved from the producer Bayer Healthcare – Molecular diagnostics division. The week education and instalation was done on place of the National Refference Lab of HIV/AIDS with head Dr. Danail Beshkov on the teritory of the National Center for Infectious and Parasitic Diseases – Sofia with director Prof. Dr. Bogdan Petrunov M.D. 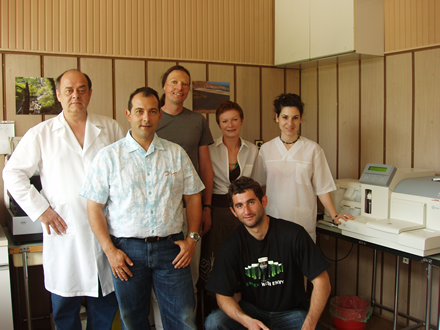 Specialist from company Innogenetics /our partners located in Germany/ and ELTA 90 specialist impement the theoretical principal into a practice with bDNA 340 analyzer. The specialists from the lab immidiatly mentioned some benefits of the system compairing to the used up to now methods as: dramatically reducing of the labor time for geting the final results as well the simple and easy performance of the procedures. To the team of the lab we wish problem free work with our systems for appropriate execution of the task of the National program for prevention of HIV/AIDS conducted by Dr. Tonka Varleva from MoH, as well the assurance to relay on the service of ELTA 90 company for appropriate execution of the task in the government national program for diagnostic and prevention of HIV/AIDS in Bulgaria.